Reading marketing strategy books can be time consuming and daunting. That’s why we’ve compiled a list of 100 Strategy Marketing Ideas so you can get some invaluable information in just a 5 minute read. 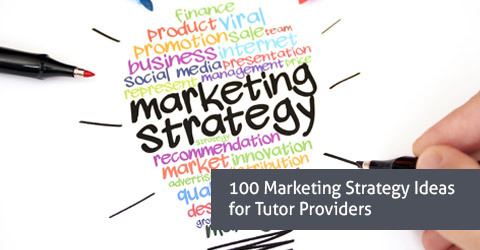 Some of these ideas will be applicable to your tutoring business and some will not. When you see a point that will help your business grow, make sure to think about it and expand that point. Sometimes the thoughts that stem from a specific point can be more valuable than the point itself.